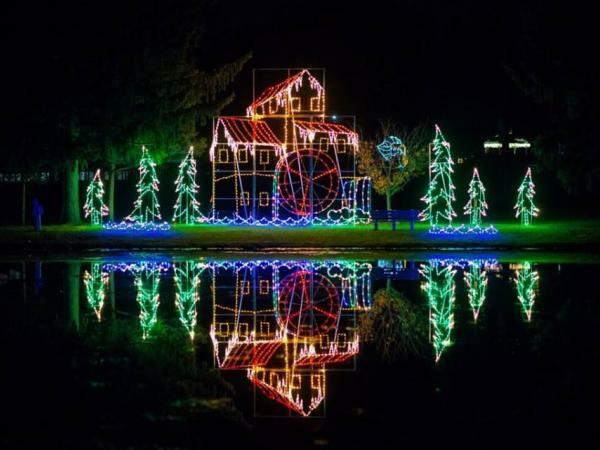 Ohio Holiday Lights Trail - Ohio. Find It Here. 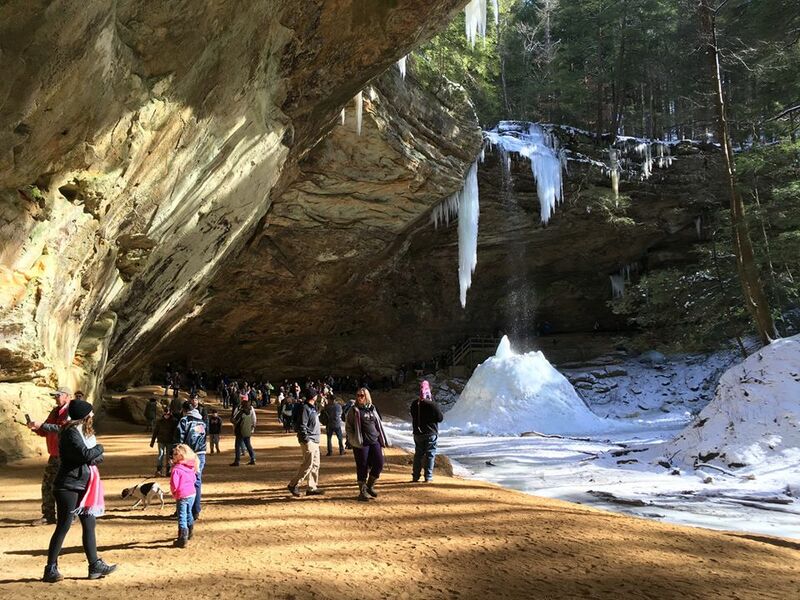 Explore this 30-stop trail guaranteed to bring joy, happiness and excitement to your #HolidaysInOhio this year. Experience the joy of the season and explore the new Holiday Lights Trail! Find towering dragons, 4 million lights on an old-fashioned mill and even entire zoos lit up for the holidays. This 30-stop trail will take you around Ohio to the best light shows in the state. Download the trail map and visit nearby locations or go on a road trip with family and friends and give them the gift of an unforgettable holiday experience. 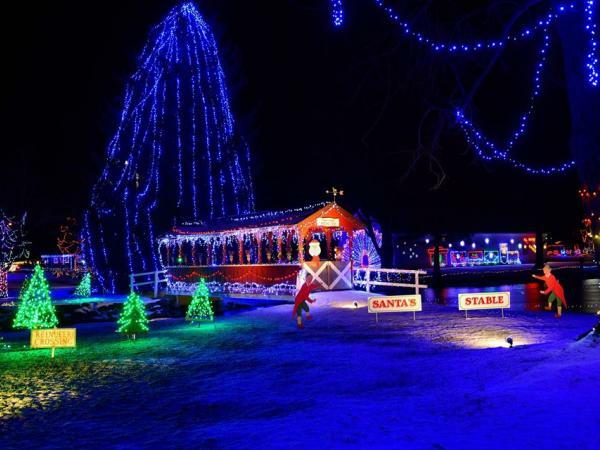 Immerse yourself in the magical tradition that is Upper’s Winter Fantasy of Lights! Since 1997, Harrison Smith Park has transformed into a beautiful and awe-inspiring light show from December 1-30. With over 2 million lights and 33 acres to explore, you’ll find both original and classic displays like Rudolph and Frosty, as well as a myriad of tree lightings, music, and carriage rides. 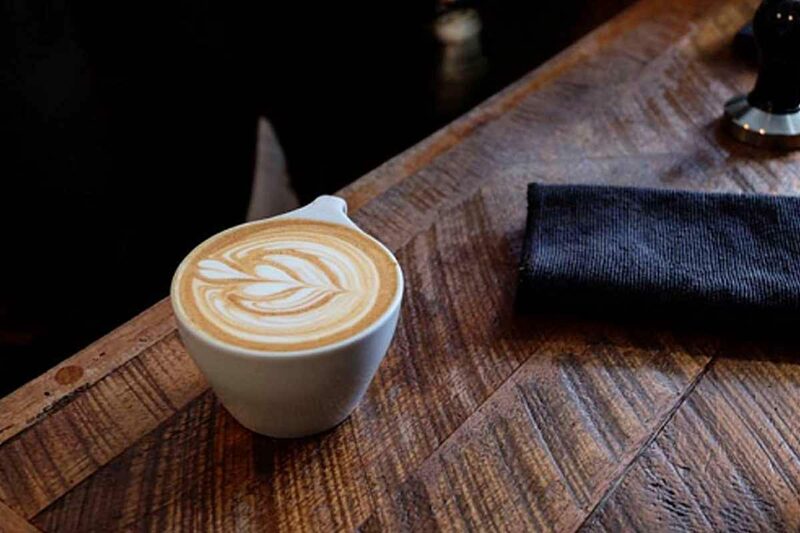 A five-dollar donation is requested per carload, and each year the proceeds are donated to a selected nonprofit organization. Kick off your seasonal festivities at the Joy of Christmas Holiday Light Show, a holiday celebration from November 16 to December 26. Take in over 75 breathtaking lights displays, including the unique and interactive Santa’s Ice Castle and the Gingerbread House. 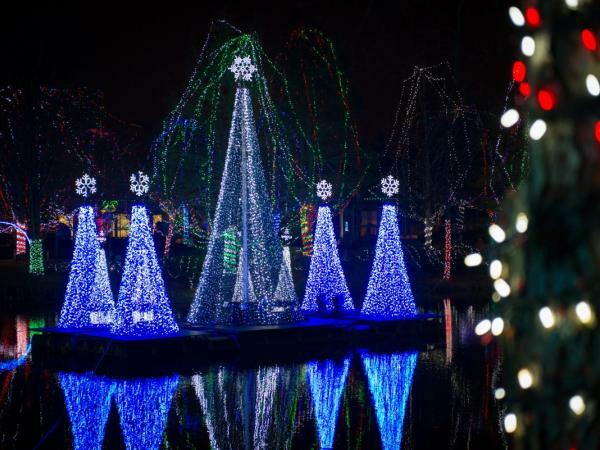 Experience the magic of millions of LED lights shining bright at the Columbus Zoo’s annual WILDLIGHTS November 15 – January 6. Put in your official Christmas requests with Santa at the Holiday Village in Jungle Jack’s Landing, visit reindeer in North America, and watch Santa himself skip the traditional chimney and instead show off his diving talents at Discovery Reef! Each year this incredible, award-winning lights display features dozens of dazzling holiday and seasonal sights. 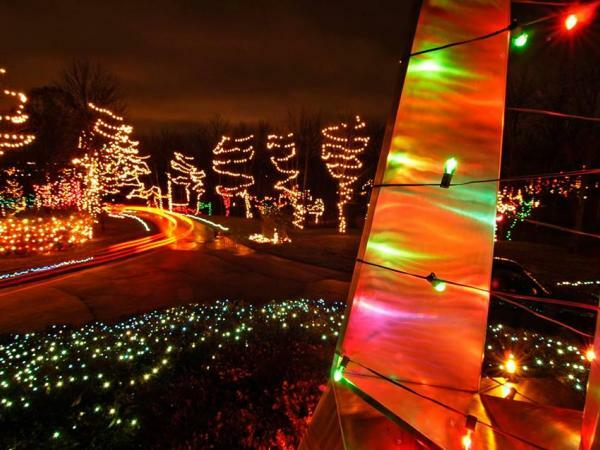 With more than 2 million lights throughout the 300+ acre park, visitors driving through are sure to be amazed. Begin your next family tradition and make lasting memories at Holiday Lights on the Hill, happening from November 16, 2018 to January 1. 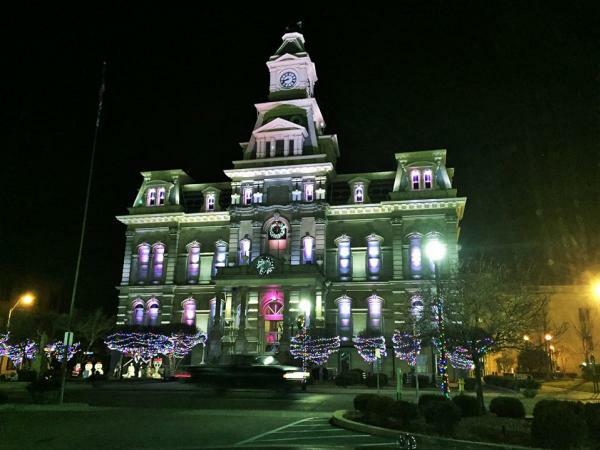 Try something new this holiday season and “tune in” to the Muskingum County Courthouse Holiday Music and Light Show from November 29 to January 1. Windows and bricks of the courthouse light up in sync with the beat of several different Christmas and holiday tunes, the entire show lasting an hour. Viewers can stay in the comfort and warmth of their own cars and hear the music in sync with the show by listening in at 88.5 FM. Enchanting lights displays, your favorite Christmas characters, holiday music – bundle up with loved ones and enjoy all the Holiday Lights Trail has to offer! 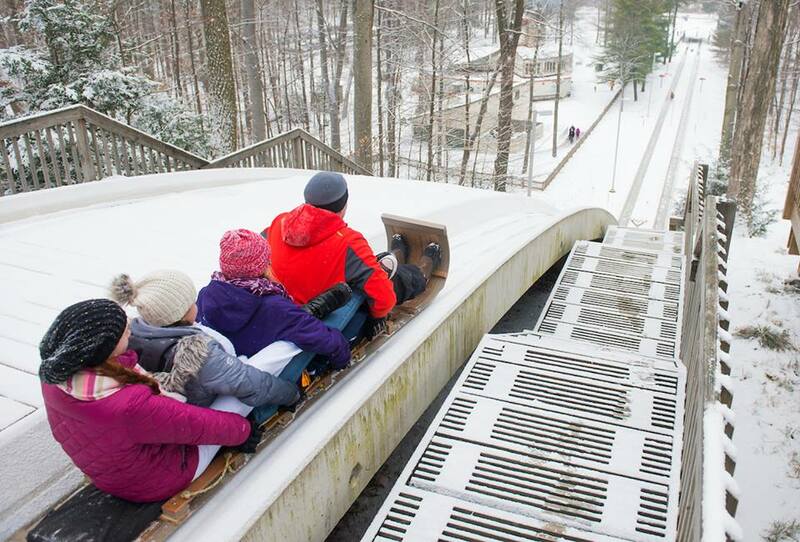 Share your memories with us this season using #HolidaysInOhio. For more holiday joy and excitement, Find It Here at Ohio.org.